Bridge: The teeth adjacent to the missing tooth are ground down and a fixed bridge is made. Many times this is not the ideal choice especially when these teeth are intact or when the space between them is too large. CON: higher risk of root canal treatment of adjacent teeth due to extensive grinding. Expensive. Hard to clean underneath. 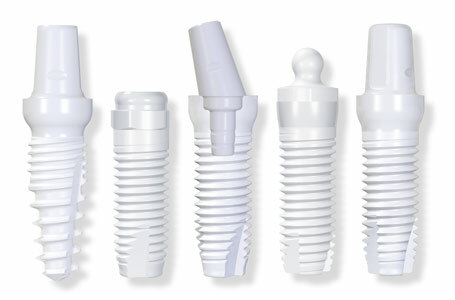 Titanium Implants: These have a long track record but recently titanium has been implicated in causing inflammation. Moreover, many people are trying to stay away from metals implanted in their jaw-bones. PRO: adjacent teeth are preserved. Durable. Can be inserted in two stages. CON: Expensive. Health concerns due to titanium. Esthetic challenges in the front tooth area due to discoloration of the gums. Partial Dentures: Constructing a removable partial denture or “flipper” is very conservative, however most people would understandably reject the idea, not mentioning the awkwardness and discomfort associated in wearing it. It is mostly indicated for multiple teeth missing, or if all other options are not feasible. PRO: conservative, non-invasive, adjustable, removable, easy to clean or repair, fully reversible. CON: Feeling of “foreign body” in mouth, not fixed, difficult to keep in, chewing difficult, impaired taste. Metal-free Zirconia Implants:These have been used in Europe for over a decade and have been recently approved by the FDA. PRO: Excellent biocompatibility and stability. Metal-free. Excellent esthetics. Better soft tissue adaptation. CON: They may not be suitable in some cases. Expensive. 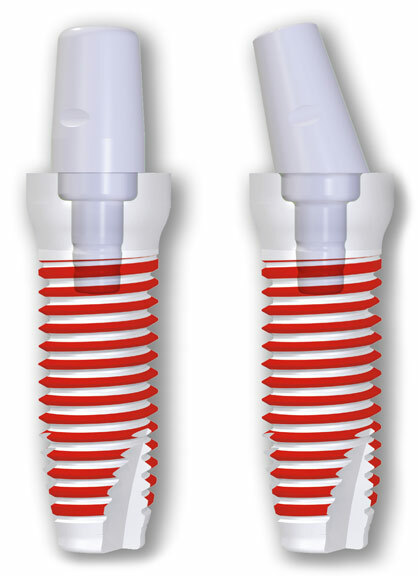 One-piece implant, necessitates wearing a protective device for 4-6 months to assure integration into bone.